Hartnell Taylor Cook, the Bristol-headquartered commercial property consultancy, has appointed Louise Georgi as a director and head of lease advisory. In this newly created position, Louise, pictured, will be responsible for developing and building on existing HTC initiatives, providing clients with a range of lease advisory services. 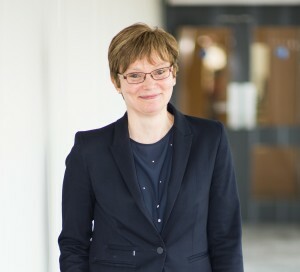 She joins HTC from Bruton Knowles in Bristol, where she has worked for the past nine years acting as arbitrator and independent expert on disputed rent reviews and lease renewals. She also worked for Lambert Smith Hampton in Bristol and London. Louise will be working with Edward O’Grady, who joined HTC from GVA as a senior surveyor in the lease advisory team last September. Edward will continue to focus on providing in-depth lease advice for commercial and public sector clients across the South West.